Welcome to our new website. We will grow and improve over time, so check back from time-to-time. Since 1951, Bakersfield Auto Body has been the standard for collision repair in Kern County. On their third generation of family operated business, they have a legacy of providing the best in automotive collision repair to insure your vehicle looks and performs just as it did when it left the showroom. 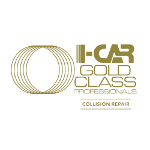 We only use I-Car, PPG, and ASE certified journeyman technicians to ensure a standard of excellence when dealing with your vehicle. You may rest assured that we will guarantee your vehicle will be returned to factory specifications. Our limited lifetime guarantee is good as long as you own your vehicle and we stand behind our work. Do you need a rental? We have Enterprise Rent-A-Car conveniently located on site. We can make sure all of your needs are handled in one place; they will even pick you up. Bakersfield Auto Body is one of Kern County's most modernized facilities. Our facility has over 20,000 square feet of covered production space. We utilize only the best equipment to conduct our repairs. We use Mitchell and Chief computerized systems to obtain the most accurate and current data for the repair of your vehicle. When it comes to refinishing your vehicle we use PPG paint and products in our down draft, drive through, heated air make-up paint booths. Bakersfield Auto Body has all of the specialized equipment needed to make sure your vehicle is returned to it's original luster.